Jim's Jog was founded in 2014 in loving memory of James Joseph "Jim" Fielding, Jr., a beloved son, brother, husband, father of nine, grandfather of sixteen, and great-grandfather of one. Jim was a decorated Air Force veteran who served in WWII and a successful businessman with many and varied interests, including tennis, community theater, and the Fightin' Irish of Notre Dame. He lived with Parkinson's disease for over a decade of his life; however, he refused to be defined by his symptoms, continuing to play tennis until the age of 83 and enjoy time with his family, friends, and dogs. On April 1st, 2014, Jim passed away at the age of 92 after complications from Parkinson's. He lived a long and happy life and is deeply missed by all those who knew and loved him. In his death, the urgent need for a cure for this debilitating disease was made even clearer to his loving family. Jim's Jog was founded by his grandchildren to honor their Pop-Pop and create a lasting legacy for him, as well as to help the millions of people worldwide who live with Parkinson's disease. We are grateful for the opportunity to raise money for the Michael J. Fox Foundation and contribute to their efforts to find a cure for Parkinson's disease. Each year, we strive to make Jim proud. 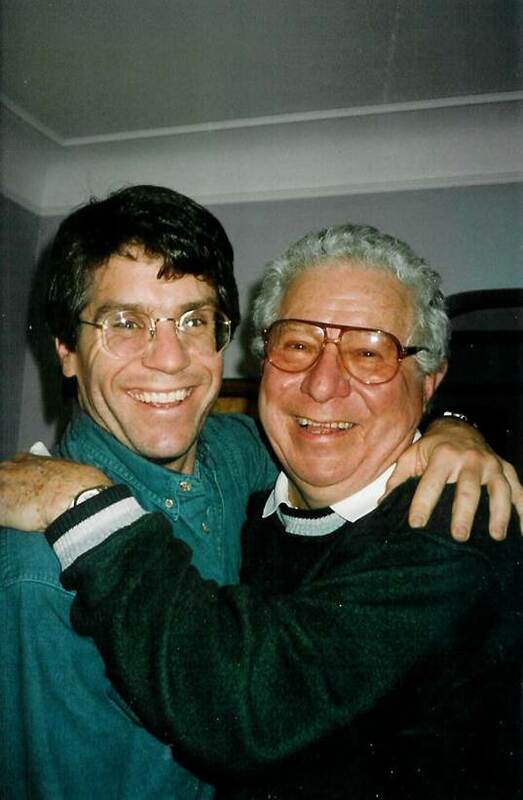 Pop-Pop was more than his disease – he was a beloved father and grandfather, a dog lover, a WWII veteran, a talented actor, an avid tennis player, and an inspiration to me and everyone who loved him.